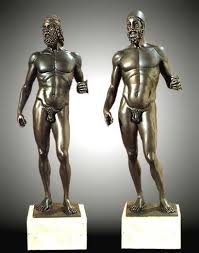 Calabria’s star art treasures are The Riace Bronzes: Two Greek bronze sculptures of warriors from the Fifth Century, BC. They are stunning glorifications of the ideal male form, with rippled muscles, majestic stances, exuding an air of mystery. Their discovery was simply miraculous: In 1972, a chemist from Rome was snorkeling off the coast of Riace. He caught sight of an arm emerging from the sand, that he first thought was a dead body. Moving closer, he realized he’d stumbled upon an ancient masterpiece…and then found another nearby! He called the police, the sculptures were dredged up, and found to be in excellent shape. 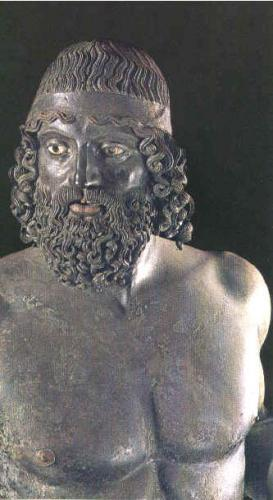 Today the Riace Bronzes are the symbol of Reggio Calabria, the capital of the region of Calabria. They recently were restored and are displayed atop marble pedestals at the Museo Nazionale della Magna Grecia in the southern Italian city of Reggio Calabria,. (aka The National Archaeological Museum of Reggio Calabria), open Monday to Sunday 9:10am- 7pm, Call (+39) 3207176148 for reservations. Be sure to reserve in advance for your visit–keeping in mind that it’s best to go in the early mornings, before the tour groups crowd in. You’ll be shown a video about the statues, taken to a filtering station, and then brought into the climate-controlled room for 20 minutes to admire these astonishing pieces. For a Golden Day in Reggio Calabria, have lunch at Ristorante Baylik (Vico Leone 1/3/5,0965 48624,Open for lunch and dinner) for traditional seafood dishes, such as spaghetti con bottarga di tonno or mixed grilled fish. 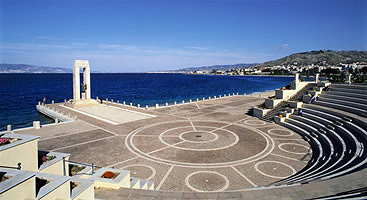 Enjoy a walk along the Lungomare, and stop in at the city’s beloved gelateria, Cesare (Piazza Indipendenza, 01287.170805). 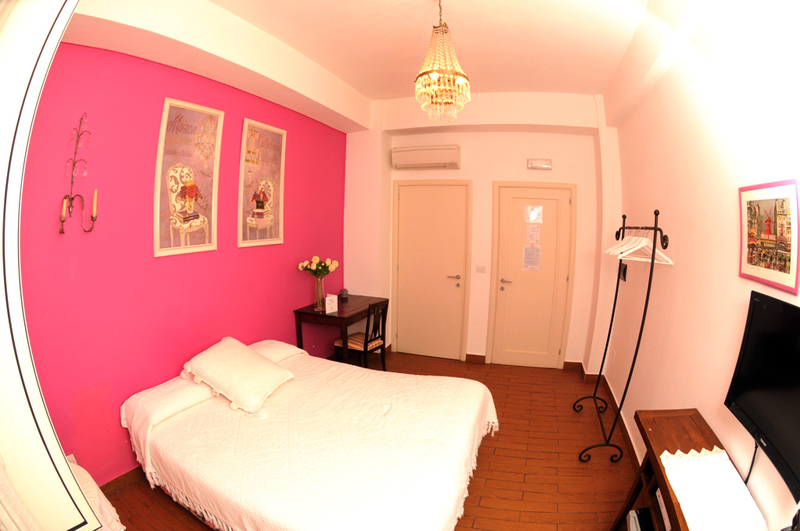 If you’re there in the summer, you may even enjoy a show at the Arena dello Stretto, with stunning views of the sea. 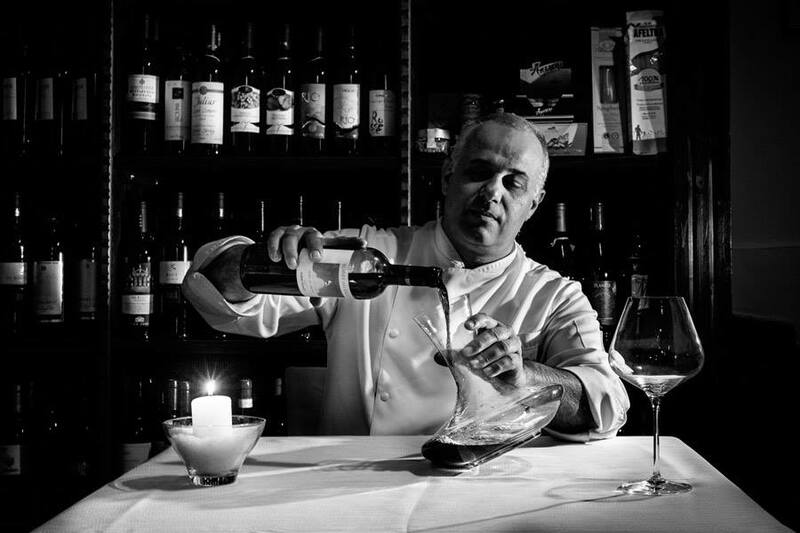 For dinner, reserve a table at Officina del Gusto (Via Placido Geraci 17/19, 0965.332830,Open only for Dinner), an elegant and friendly place with a fantastic wine list, that serves delicious traditional specialties, using organic products, including great beef selections. Be sure not to miss these astonishing treasures when you visit Calabria! 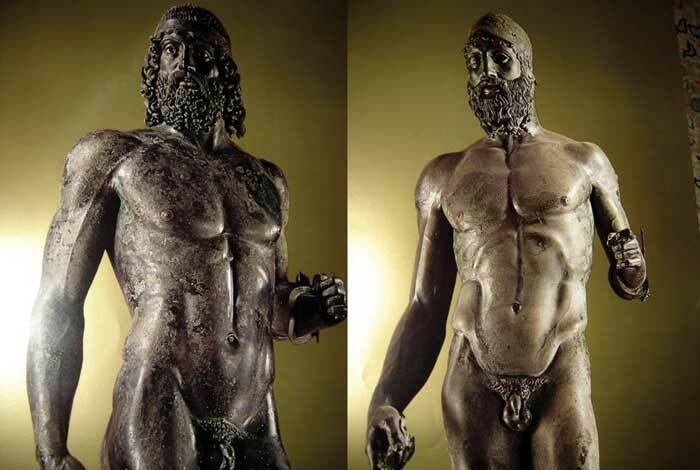 Click Here for Tourist info...And if you are there this summer, Click Here for Info about the Special Exhibit welcoming back the Riace Bronzes…Buon Viaggio! I just found your blog – what a great idea with the Golden Days! I lived in Calabria for 4 years and so started with #100-109. A lot of great information and a good introduction to Calabria. Looking forward to more golden days! Thank you for this! Another wonderful thing to see! Thank you for stopping by! Italy is surely filled with lots of enchanting works to see! What a fascinating story, Susan. Having just spent a few months along Croatia’s Adriatic Coast, we were recently pondering what treasures might still remain underwater. Thank you for your response, the Croatian Coast is also quite stunning! I hope you enjoyed your trip and who knows maybe one day they too will find a treasure! Grazie for telling this amazing story about the sculptures! More wonder to behold in Calabria!